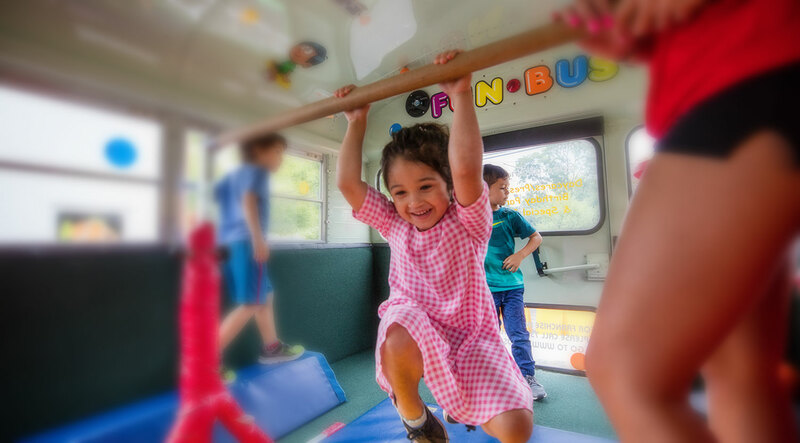 FUN BUS is the premiere gross motor skill development program for preschools, daycares, schools and childcare centers. Fitted with safe, age appropriate fitness equipment, our refurbished big green buses park outside your center and never move with children aboard. FUN BUS is perfect for Private Parties, Festivals, Corporate Events, Family Reunions, Block Parties, Camps, Fundraisers, Open-Houses, and any other Special Event where young people might be looking for something FUN to do!